Benelli India, under its new partnership with Mahavir Group, launched the Benelli TRK 502 range in the country. The bike is available in two variants - TRK 502 and TRK 502X, priced at INR 5 lakh and INR 5.40 lakh (ex-showroom Delhi). Here, we list out the difference between the two models. The Benelli TRK 502X features wire-spoke wheels with knobby off-road tyres, and comprehensive protective guards. It has a ground clearance of 220 mm and a tall seat height of 840 mm. 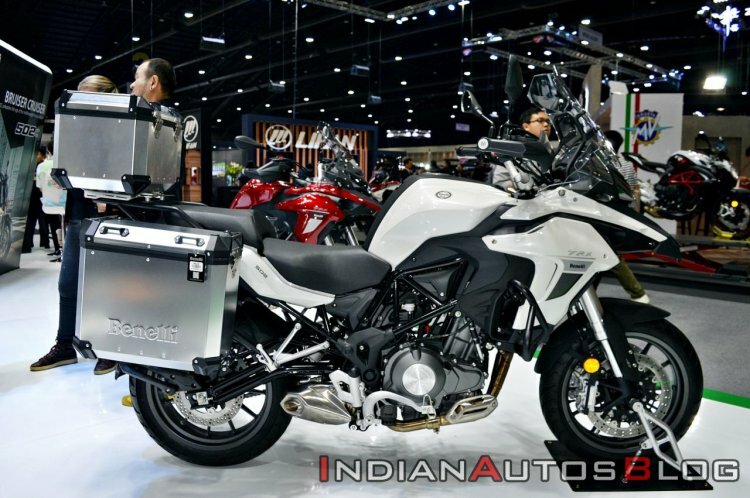 While the TRK 502 is a road-biased long-distance tourer, the Benelli TRK 502X is a purpose-built adventure touring motorcycle. While the overall design of both the bikes is similar, the TRK 502X comes equipped with a few different components to make it off-road friendly. The Benelli TRK 502X uses a 19-inch front and 17-inch rear wire-spoke wheels setup that are paired with Metzeler Tourance knobby off-road tyres. The front tyre size is 110/80-19 while the rear gets 150/70-17 rubber. This configuration should help the TRK 502X to taken on off-road sections with aplomb. The motorcycle has a ground clearance of 220 mm and a seat height of 840 mm. 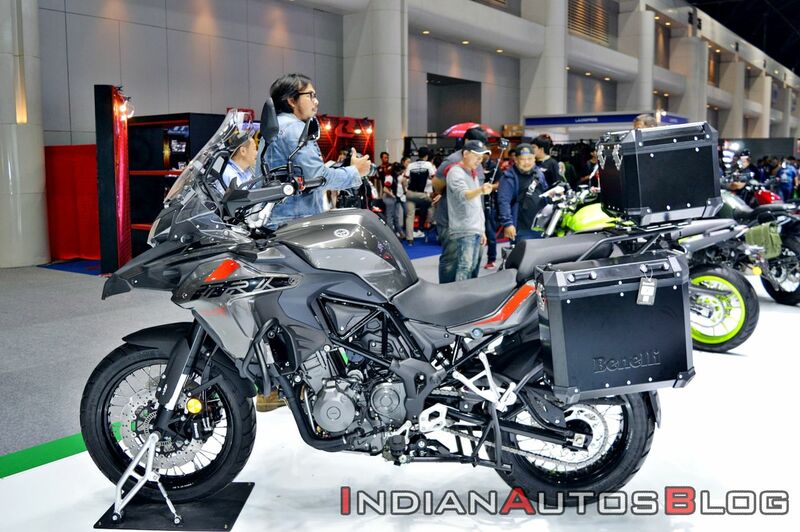 Furthermore, the bike features comprehensive crash protection along with an engine bash plate, and luggage mounts as standard. The Benelli TRK 502, on the flipside, comes equipped with 17-inch alloy wheels that are wrapped with road-going 120/70-17 front and 160/60-17 rear Pirelli Angel ST tubeless tyres. While this setup is not too off-road friendly, it offers impressive touring capabilities and handling prowess. The TRK 502 has a ground clearance of 190 mm and a saddle height of 800 mm. While the standard model to features an engine bash plate, it doesn’t get the full safety protective guards and the luggage mounts as standard, as is the case with the TRK 502X. That said, both the bikes get soft pannier cases as part of the optional accessories. The Benelli TRK 502 rides on 17-inch alloy wheels with road-biased tyres. It has a ground clearance of 190 mm and an accessible saddle height of 800 mm. Both the bikes are underpinned by the same trellis chassis and feature the 499.5cc twin-cylinder motor. The fuel-injected engine produces 47 bhp of power and 45 Nm of peak torque. It comes wedded to a six-speed gearbox. The Benelli TRK 502 range comes with a fuel tank capacity of 20 litres and a kerb weight of 235 kg.